Dota 6.60b - Dota Allstars 6.60b is released!. 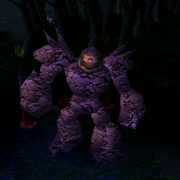 IceForg has just released Dota 6.60b. It is official map now. As of now Dota 6.60b is a fix patch for Dota 6.60. IceFrog had released Dota 6.60b for public beta testing but now it's over Dota 6.60b has been released worldwide. Dota 6.61 will be the next map if Dota 6.60b has no more bugs left. lol now dota 6.60b ? i have list of bugs in 6.60 i have sent it to icefrog.. and i see only few of them are fixed in dota 6.60b.. i think i have to report them again..
axe's another name is "mogul khant hit him"